Here is a quick, little video I made to show some basic fire management in a Yoder offset wood smoker. I'm sure I have forgotten a few things, so if you have any questions, don't be afraid to ask. Kudos to you if you can stay awake all the way through. Never thought about pre-heating the wood. Gonna try that this weekend. I've got the Frontiersman, and have always throttled the exhaust in conjunction with the intake. If I heard you correctly, I can leave it open or mostly and just throttle the intake. I'm gonna try this as well. XL Big Green Egg, Back Woods Smoker & a small herd of "Dead" smokers in the smoker cemetery. Pre-heating your wood splits will change your barbecue for the better. Nothing but good, clean smoke the whole way. And yes you heard correct. Leave the exhaust wide open so the smoke can escape the pit and allow it to draft fully. This way you won't get stale, bitter smoke either. Once I have the pit dialed in and it's all warmed up, I rarely touch the intake as well. I just control the heat by the size of the fire. However there are exceptions like I had today. The pit was dialed in and humming along perfectly between 280-270 depending upon if I just added a new split, or if and old split was done and a new one was needed. But then it started to rain and the water pulled the heat away from the cooker and dropped pit temp. Then I did have to adjust the intake for a little while to get the temp back under control. But that's all a part of the process, and why I absolutely love to stickburn. I'm glad the video was a help to you, and please reply back after you have cooked with pre-warmed splits and an open exhaust. You will have a lighter smoke profile, but it will not be bitter at all and you won't be belching smoke flavor up all day after the meal. When you re-heat leftovers (if there are any) the smoke favor is phenomenal. I definitely will let you know my results. I've loaded the trailer, got everything ready for the next comp this next weekend. Otherwise I'd be lighting up. I've got both, stick burner & pellet, ( and an egg ). My absolute favorite is the the stick burner. I'm glad you mentioned the bitter leftovers. I have been struggling to understand why this was happening. Often when we return from a comp we won't want anymore BBQ till the next day, and it's overly smoky or bitter. Is this a direct result of the poor fire or poor fire management? I normally run the intake at a quarter inch open and the exhaust 2/3 closed. It always has a nice thin "whispy" smoke, but I'm eating wood like crazy. My comfort zone is from 225-250ish. I know my times and marks for those temps. Thanks for all the advice & suggestions. Have a great evening & Labor Day! Thank you for the video, it was very helpful. I am counting the days until my loaded Wichita arrives. Stony-300 wrote: I definitely will let you know my results. I've loaded the trailer, got everything ready for the next comp this next weekend. Otherwise I'd be lighting up. I've got both, stick burner & pellet, ( and an egg ). My absolute favorite is the the stick burner. Yes, the overly smokey and bitter flavor is the direct result and the hallmark of poor fire management. I would also suspect you may be struggling with color as well and your food (ribs for example) are getting too dark. Your cooker sounds like it is choked off quite a bit. Leaving the exhaust wide open allows the smoke and heat to escape, rather than sit around in the cooker and get nasty. You can still easily run 225-250, especially with that large of a pit. Just build a smaller fire, leave the stack open, and adjust your temp with the intake and the size of your fire. 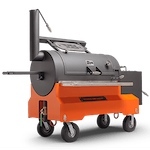 I hate to say to try something new at a comp, but if you can make it to the site at all early, setup and get your prep done early, or start your fire early and learn how to keep the fire clean with the warmed wood and open stack damper, and you will notice a much nicer smoke flavor on your final product. If all else fails you can use the old method if you have to until you have more time to practice, but pre-warming the splits alone will make a big difference. Add an open stack to that, and you are going to have better smoke. I think you will get the hang of it quickly. 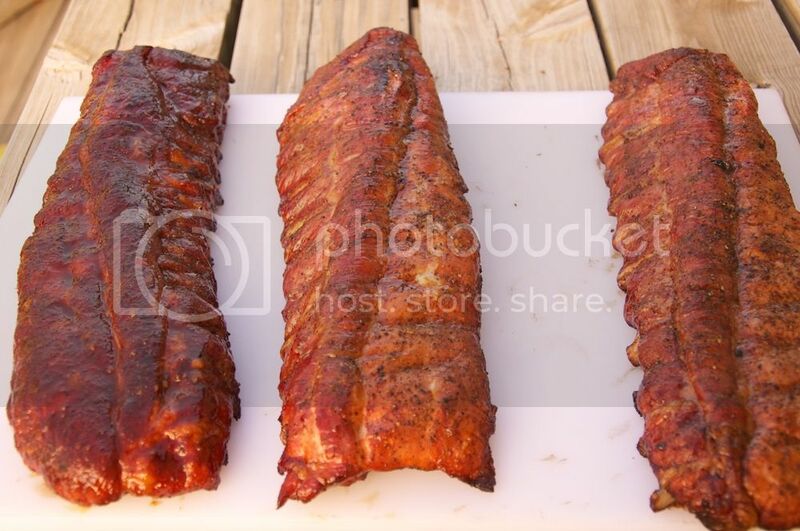 Just for an example, the following picture of three ribs were cooked on two different cookers (sorry about the poor framing of the picture). The pits I used were a Yoder Kingman, and a Yoder YS1500. The left rack is a comp practice rack, and the middle and right ones are S&P only. Can you guess which were cooked on pellet and which on stick? Hint, each S&P rack were cooked in different pits. Pullin Pork wrote: Thank you for the video, it was very helpful. I am counting the days until my loaded Wichita arrives. You are very welcome. Enjoy that pit when you get it, and don't be afraid to practice this before you put food in so you can understand the cooker. It will behave differently with food in it because you are putting in a cold mass trying to absorb the heat, but understanding a clean fire is key. 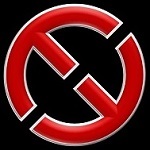 Excellent vid! For the last 4 years my Legion Riders group has cooked Pulled Pork & Turkey Legs for the 4th of July at our Fairgrounds for the public. This was my first year stayin up all night to help with the 2 different offsets and 1 vertical we had borrowed to cook on. I knew nothing about stick burners and was just doing what I was told. Our "boss" kept the exhaust closed down and we were only burning wood without a coal bed, not preheating the wood...running at 190 - 210 degrees...needless to say it was a nightmare keeping these things going all night! After taking a BBQ class at ATBBQ where we discussed what you covered in the video I went back and told my buddy he was doing it ALL wrong...he is now going up to take the Ribs class with me in a couple weeks and we will now be a little more prepared for next year. Kirby….I have a Cheyenne 16" that I took delivery of in May of this year. I run with charcoal and after the smoke clears I use peach, cherry or hickory to smoke. I live at an altitude of 6500'. No matter what I do I can't get my smoker hotter that 225 and mostly 200 degrees. It takes about 90 minutes ti get to that temp and sometimes I need to lay a welders blanket over the smoker to keep it hot. I run with the exhaust open all the way and usually run with the butterfly vent fully open or just slightly closed. Any ideas on how to get it hotter or am I limited by my altitude?? davem29 wrote: Kirby….I have a Cheyenne 16" that I took delivery of in May of this year. 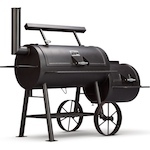 I run with charcoal and after the smoke clears I use peach, cherry or hickory to smoke. Altitude will have some affect on the fire, but you should still be able to get a higher temp than what you are getting. Here are a couple of things to try. Do you have a good coal bed with a quality lump charcoal? You also don't want to have the firebox too full with wood and charcoal either. Do you have any pictures of your firebox and wood/coal amounts during the cooking process? Is you wood fully seasoned? That is critical to get the highest BTU output and clean fire. You may be losing too much heat by having the pit has open as you do. In this case set the intake damper to about half once the fire is clean and see what happens. Then you may also want to close the top damper just a little bit, no more than 1/3. That will still allow for good combustion and slow the air down. Do you have the Heat Management Plate in your smoker? If so, remove it for a few cooks to allow you to see your adjustments a little better. Try these steps a few times and report back on what you find. Hopefully something here will solve your mystery for you. Yes to the first two questions. I fill a charcoal basket after my bed of coals is burning hot. I use Royal Oak lump charcoal. I buy fully seasoned wood chunks. I have the heat management plate. Of all you suggested I think i'm doing a few things incorrectly. First I may have too much charcoal after my coals are ready. The reason I load it up is that I don't want dirty smoke every time I add charcoal. Second, maybe the amount of charcoal I am using blocks the draft. Three, I will try closing the butterfly a little more and finally i'll close the stack a bit and see what happens. YK, This weekends comp was fantastic. We got a 12th in chicken and everything else was "okay". But the takeaway lesson was your tips on the fire management. It absolutely worked and also saved alot of wood. As a benefit, I got a few minutes more sleep as well. Pre-heating the wood was pure genius. It immediately ignites and the temps never fluctuate. The food the following day had zero bitterness to it. It had a perfect smoke flavor to it. Stony-300 wrote: YK, This weekends comp was fantastic. We got a 12th in chicken and everything else was "okay". But the takeaway lesson was your tips on the fire management. It absolutely worked and also saved alot of wood. As a benefit, I got a few minutes more sleep as well. Pre-heating the wood was pure genius. It immediately ignites and the temps never fluctuate. The food the following day had zero bitterness to it. It had a perfect smoke flavor to it. Awesome!! I'm so glad that the video helped you with your food issue and with running your pit cleaner and more efficiently. A little extra sleep is always a good thing at comps too, especially for stick guys. I followed this process during my cooks this weekend. Worked great. I had been preheating sticks on the pot warmer, inside is much more efficient. I did get some early ignition, but that was just me being a little sloppy. Not sure if it was just the cook, the wood that day, or the process, but I was surprised to see how little ash I had following a full day cook. A little more than half of what I was expecting. Maybe running cleaner and more consistently burned off more. I also did the initial start up with Wicked Good vs. another lump product, that may have had something to do with it too. Choking down the exhaust is one of the most misunderstood things in my opinion. Temp control should be controlled by the input. The only time I have ever choked the exhaust down on my other cooker is because it started pouring rain. The exhaust is 8" and all the rain going down the exhaust was lowering the temp of the cooker so I choked it down for a few minutes until the rain slowed down. This was a great video and answered so many of my questions. Thanks for taking the time Kirby. Loving my Kingman Competition Cart! Thanks all. I'm glad the video has been a help for some of you. Curious...what would the heat plate removed help? Just to allow him to see the affect that the adjustments are making a little more clearly. Yoder_Kirby wrote: Just to allow him to see the affect that the adjustments are making a little more clearly.